I take a straight-forward, no-nonsense and customer first approach on each loan transaction I’m involved with. The extensive range of products available at First Heritage Mortgage allows me to expand financing options and opportunities to all of my clients. From the first time home buyer to the seasoned investor, to the home owner looking to refinance, I will make your home financing stress-free and run smoothly from application to closing to funding. I have built my business on referrals and as a “referral only” Loan Officer, my business and reputation depend on me finding the best solution combined with un-paralleled customer service for each and every customer I speak. 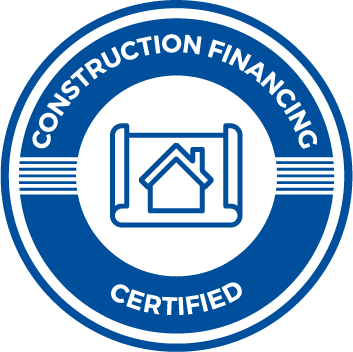 Whether you are looking to purchase a home, refinance your existing mortgage, renovate/build a home or purchase an investment property, I will be diligent and work hard to achieve your end goal. I am licensed in Maryland, Virginia and North Carolina and am never too busy to work for you or for anyone you refer. Call now for an immediate pre-approval consultation and to get started on your stress free home financing experience. - George & Becca E.
When my husband and I decided that it was time to buy our first home we were nervous to say the least about the whole process. That was until we were referred to Jim. Jim was awesome at explaining exactly what we needed to do throughout the whole process and made our first time home buying experience a great one. He worked with us every step of the way and was always there to answer any questions we had. He made sure we fully understood the process and guided us confidently into our new home. We are forever grateful to Jim for making this process the smoothest it could possibly go. If anyone asked me who they should go to I would definitely recommend Jim Boone to ANYONE! - Daryl & Jhanel H.
Jim was very helpful and knowledgeable about the loan process. He was informative about the different loan options we could choose from and always available to answer any questions day or night. He was able to close our loan on our second home in three weeks! He went above and beyond and we would highly recommend him to any and every one. 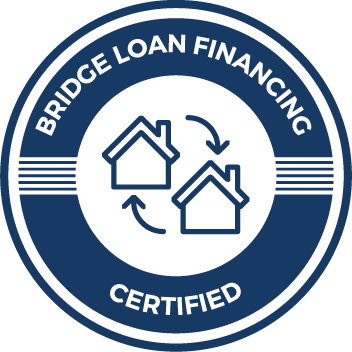 - Deb & Chris I.
Jim is extremely knowledgeable and quick to respond to any and all of our questions, he was able to get us excellent financing and closed our loan 2 weeks earlier than our contract date. Jim was in our corner throughout the entire loan process. Our overall experience with Jim Boone and the team at First Heritage Mortgage was incredible! We highly recommend Jim to all of our friends, Family and anyone looking for a loan Officer who cares and provides excellent customer service, great rates and an extremely smooth process. Thank you Jim, looking forward to working with you on all of our Real Estate Financing needs! - Margie & Greg K.
Jim has helped us get our first home and purchase our second home this year with two refis in between. Each time he has been accessible, friendly, and put in plenty of effort (much of it outside of standard business hours) to make sure everything was just right and on time. If there was a hiccup, he stepped in and made the impossible possible, every time. We have worked with other lenders and no one has been nearly as accommodating. I would not hesitate to recommend Jim and the team at First Heritage to anyone purchasing a home. When we move again, were coming back to Jim! - Charles & Emarie H.
I was nervous about working with a different lender other than my credit union, however; Jim was honest with me, informative, and he allowed me to ask the most unique questions, and he answered them with a great sense of confidence. For that, I want to personally thank you Jim for all of your help in securing our loan for our new home. Your organizational skills and thoroughness surpassed my expectations….your professionalism as well as kindness made all of the difference in our interactions with you. My husband and I put our trust in you and you most definitely came through for us considering our circumstances! Thank you for your patience as well as treating us as people rather than just another home loan customer. You stand above the rest, Mr. Boone! Our hats off to you. As a retired Police Officer and someone who has purchased several homes, I was a little skeptical to refinance my second home and consolidate all my bills under one umbrella. After speaking with Jim and getting all questions answered, I can honestly tell you this was the smoothest loan process that I have ever been through. I will definitely refer anyone looking for a loan to Jim and First Heritage Mortgage. Thanks for taking good care of us!